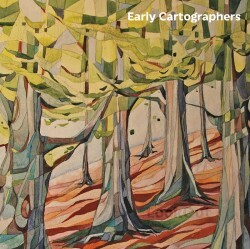 It doesn’t take a genius to realise that the sound of Early Cartographers is a bit different; the collection of instruments, the song structure and the production (it actually sounds like a Live Lounge recording – you can hear the humans behind the microphones). This is an album that is definitely not guilty of any turgid adherence to the verse, chorus, verse, chorus, middle-eight, big chorus blueprint that other folky types have used so well before them. No, if there is a twist in rhythm or tempo available to these guys they grab it and squeeze every drop out of it. All very clever – and it really is, requiring some intricate mental map drawing (no pun intended) during the writing process I imagine. The musicianship is good; the variety of sounds and structure is extensive – there are some moments that come alive in a way that, when added to the original feel of the songs, raise your expectations of what may lie ahead. These moments seem to be a bit too few and far between though. When they are allowed to poke their heads out these sections are quickly shuffled off to make way for another tone change. This cramming in of a million different ideas gives the album a more panicked feel than it deserves, you get the feeling that the idea was to get a snippet of every idea the band have ever had onto one release. I found myself regularly wanting a particular melody or harmonised vocal line to come back and show me what it could do or where it could go as another, less engrossing one came in to replace it. The end result is something I found difficult to enjoy. I started to think of each song as a mini-medley of sound bites that doesn’t allow you to latch on to any of them. There isn’t really a stand out track that you can use as an anchor to build a feel for the whole album around and I found this buffet of bits a little disengaging; it’s a confusing creation – but maybe that’s not what really put me off. I have a relatively strong and long-running dislike of musicals and if I was forced to sum ‘LookOut’ up in one sentence it would be something like “an album adapted for Broadway, albeit an acoustic, slightly prog rock version of one”. At times it gave me the same feeling I get from any songs written for a musical and, unfortunately, I just couldn’t shake it. I could imagine the vocals being delivered up into the black middle-distance of a theatre accompanied by over-eager, dramatic expressions and gesticulations while the rest of the band would cut quite a contrast; sat on wooden beer crates, straw under their feet, playing intricately and capably along. I will say right now that ‘LookOut’ won’t be the worst album you hear this year because, on paper, it should have slapped a big smile on my face. I would even go as far as to say it may offer some the perfect chance to escape the afore-mentioned and ever-present blueprint of most acoustic-folk-indie albums. However, for me and my deeply engrained prejudices against musical theatre and the subsequent bias they inflicted on how I heard these songs I will also say I just didn’t get it.